The only final solution South Asia saw was in 1971. RK: "Riaz, do you think anyone in the west is concerned about Hindu extremism (if at all it exists)." The West was friends with the "Islamic extremists" during the cold war....Reagan even compared them with America's founding fathers in 1980s. Things can and do change with time. "Things can and do change with time." Sure. When Hindus indulge in 9/11, 7/7, Paris, Mumbai, Madrid, Bethlam, Bali and many others, then yes things will change. RK: "Sure. When Hindus indulge in 9/11, 7/7, Paris, Mumbai, Madrid, Bethlam, Bali and many others, then yes things will change." Your allies among the white supremacist like Norwegian Anders Breivik are your proxies inspired by hateful Hindutva rhetoric to do it for you. It is not at all uncommon that political debates and antagonisms take root and even flourish outside their native soil. What merits our close attention is the intensity and amplitude of this particular issue, which merges international hi-tech and finance with longstanding and bitter disputes in South Asia, and reaches into, and threatens, academic freedom and freedom of speech in the American academy. I understand your frustration that while Hindus in the west have earned excellent reputation as hardworking, well educated and well placed citizens, muslims have *ONLY* earned a bad reputation. Hollywood, TV shows confirm that. May be one day Islam may reform and move to 21st century. RK : "I understand your frustration that while Hindus in the west have earned excellent reputation as hardworking, well educated and well placed citizens, muslims have *ONLY* earned a bad reputation"
This comment just shows your ignorance and bigotry that you share with right-wing Republicans in the US. You need to learn the history to understand my response. Before Muslims, there have been succession of hated groups in the US that included Germans, Japanese, Jews and Communists who were all far more accomplished than the NRIs of today. "RSS activists have been chargesheeted in at least 13 cases of terror acts in which RDX has been used. If organisations like Bajrang Dal are taken into the account, then the number of such cases goes up to 17," Mushrif said at an event in Kolkata. "The RSS is India's number one terrorist organisation, there is no doubt on this," said Mushrif, referring to the 2007 Mecca Masjid bombing in Hyderabad, the 2006 and 2008 Malegaon blasts in Maharashtra and the 2007 Samjhauta Express bombings among others. Since Mr. Naipaul defined it, the apocalyptic Indian imagination has been enriched by the exploits of Hindu nationalists, such as the destruction in 1992 of the 16th-century Babri Masjid mosque, and the nuclear tests of 1998. Celebrating the tests in speeches in the late 1990s, including one entitled “Ek Aur Mahabharata” (One More Mahabharata), the then head of the Rashtriya Swayamsevak Sangh (the National Volunteers Association, or R.S.S), the parent outfit of Hindu nationalists, claimed that Hindus, a “heroic, intelligent race,” had so far lacked proper weapons but were sure to prevail in the forthcoming showdown with demonic anti-Hindus, a broad category that includes Americans (who apparently best exemplify the worldwide “rise of inhumanity”). Mr. Modi doesn’t seem to know that India’s reputation as a “golden bird” flourished during the long centuries when it was allegedly enslaved by Muslims. A range of esteemed scholars — from Sheldon Pollock to Jonardon Ganeri — have demonstrated beyond doubt that this period before British rule witnessed some of the greatest achievements in Indian philosophy, literature, music, painting and architecture. The psychic wounds Mr. Naipaul noticed among semi-Westernized upper-caste Hindus actually date to the Indian elite’s humiliating encounter with the geopolitical and cultural dominance first of Europe and then of America. These wounds were caused, and are deepened, by failed attempts to match Western power through both mimicry and collaboration (though zealously anti-Western, Chinese nationalism has developed much more autonomously in comparison). Largely subterranean until it erupts, this ressentiment of the West among thwarted elites can assume a more treacherous form than the simple hatred and rejectionism of outfits such as Al Qaeda, the Islamic State and the Taliban. The intellectual history of right-wing Russian and Japanese nationalism reveals an ominously similar pattern as the vengeful nativism of Hindu nationalists: a recoil from craving Western approval into promoting religious-racial supremacy. Does RSS have a chapter in Pakiland? Have they tried to change textbooks there? Why is there so much of an insecurity complex about RSS. Just to clarify that Hinduism bars religious conversion. There is no way any monotheistic/abrahamic religions being part of hinduism. The hysteria about RSS and Gowalkar is a currency that has been overencashed. Scaremongering minorities to milk for votes may be a political tool that serves pseudo secular politcal parties. But why should americans and especially american muslims be worried. I would like to know apart from the scaremongering, what is the real risk of Hinduism or RSS having followers worldwide. Let me add to say terrorists have to punished not because they belong to a certain religion but because the harm a fellow human being. The funny thing is that once you get to see RSS closely, you will realise that they neither have the discipline not the dedication of Nazis. They are just a bunch of overhyped individuals. The problem being not with the individuals but with the people who overhype the world into thinking that they are some invincible "army of angels"
I would like to know if Iskon and art of living is also viewed with the same amount of suspicion. Is america retracting from its pledge to safeguard freedom to practice any religion? Extremism of any form is detrimental to society, regardless of the religious beliefs held by its proponents. The RSS is an organization that has time and again preached intolerance and in some cases, violence against minorities (particularly muslims, christians and LGBT individuals). While they are not a terrorist organization,they are by no means inclusive. Indians need to understand that India is not a Hindu republic. It is a secular nation with strong protections enshrined in its constitution to ensure that minorities are not treated like second-class citizens. However, the RSS does not respect these protections and actively conspires to undermine them. This is the reason minorities despise and fear the RSS. This dissertation is an attempt to propose new directions for Christian theology in India in the present context of globalization and militant Hindu nationalism. 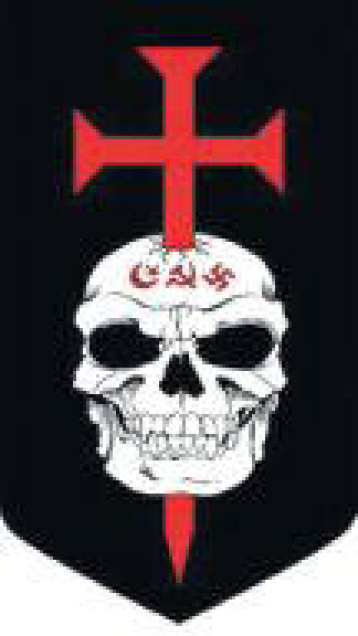 In recent years, Christians have been the target of violent attacks by militant Hindu nationalists. Critically analyzing the history of Christianity and militant Hindu nationalism in India, this dissertation claims that militant Hindu nationalism originated in the context of Western colonialism, which brought about a crisis of religious, cultural, and national identity among Hindus. It also left India poverty-stricken. The above claim is not made without taking into account contesting rationale for militant Hindu nationalism, especially, caste status quo. It is further claimed that globalization is perceived as recreating "colonization-like" situations, only now at a staggering speed and on a global level, thus representing economic, political, cultural, and social issues formerly associated with colonialism. The contemporary attacks on Christians by militant Hindu nationalists must be understood within the dynamics of globalization. The Church in India needs to respond to the crisis emerging from globalization and militant Hindu nationalism. It is proposed that a renewed theological initiative can provide the basis of such as a response. The theological initiatives proposed here build upon the method of contextual theology proposed by Robert Schreiter. Building also on the already existing theology in India this dissertation proposes that the three traditional areas of focus of Indian theology--inculturation, interreligious dialogue, and social justice--would be addressed within newer frameworks of interpretation, implementing advances in the field of intercultural communications. The main conclusion of the dissertation is that it is through renewed theological initiatives that the Church in India can become genuinely Indian in a way that re-appropriates the relative cultural and religious integration the Church had achieved in the pre-colonial era. Indian Prime Minister Narendra Modi has met his Pakistani counterpart Nawaz Sharif during a surprise visit to the Pakistani city of Lahore. Mr Modi was returning to India from Afghanistan when he stopped off. The visit coincided with the Pakistani prime minister's birthday. Mr Modi is the first Indian PM to visit Pakistan since 2004. Tensions between the two nuclear-armed neighbours have been high in recent years but relations have begun to warm. The two men hugged after Mr Modi arrived at Allama Iqbal International Airport on Friday, before making their way to Mr Sharif's nearby estate. Neither side has released a statement on the substance of the talks, which lasted two hours. After the meeting, Mr Modi left to return to India. Mr Modi, a Hindu nationalist, came to power in 2014 and has tried to help raise India's international profile. Kashmir, claimed by both countries in its entirety, has been a flashpoint for more than 60 years. Why do you attack Hindu religion? Kiran: "Why do you attack Hindu religion? " You are a really confused person. Hindu Nationalism is an anti-minorities political and social movement, not Hindu religion. Not all Hindus are in Sangh Parivar. Modi's BJP got only 30% of votes to win two-thirds of all seats in Lok Sabha. In recent months, the president of the BJP declared that a victory for Modi’s political opposition is a victory for Pakistan, and Modi’s allies have routinely urged the critics of rising bigotry in India to move to Pakistan. For most of this year, Modi’s government rudely spurned substantive talks with Pakistan. Suddenly, however, Modi is assuming the mantle of a statesman, reaching out to the enemy. Like Richard Nixon, who defied his own long record of hard-line anti-Communism by meeting Mao Zedong, Modi seems to want to open the door that he helped shut. Certainly, Modi, with his jaunt to Lahore, has at last achieved more uniformly upbeat headlines for himself in the international media. Many people are eager to believe that an old and destructive antagonism is about to be defused. But believing that Modi’s Christmas mission will produce a great and enduring bonanza, including his own change of heart, may be a bit like believing in Santa Claus. Modi’s histrionic visit to Nepal last year was likewise hailed by international relations experts as inaugurating a new chapter in India’s relations with its neighbors. However, in recent months, an unofficial Indian embargo — an attempt to force Nepal to change its constitution — has brought the Nepalese economy to its knees, sparking widespread hatred of Modi and India in Nepal. The key to Modi's chameleon-like behavior lies in the realization that he is, as his own senior colleague, L.K. Advani, pointed out, a “'brilliant and efficient events manager.” Modi rose fast in the staid world of Indian politics partly because he was the first to recognize the imperative of inserting himself into 24-hour news cycles, of manipulating social media and hosting massive spectacles to the impress the rich, the powerful and the influential. His year-and-a-half in India’s highest office has been chiefly distinguished by a series of photo-ops with world leaders and stirring oratory in stadiums packed with tens of thousands of ecstatic non-resident Indians in the U.K, the U.S. and Australia. Grand proclamations and promises — from International Day for Yoga to Digital India — reveal little of substance on close examination. If Modi is now extending his permanent public relations campaign to Pakistan, it is because he is now a politician with rapidly diminishing capital. He is very far from fulfilling his most potent electoral promise, of creating jobs for the millions of young Indians entering the work force every year. He suffered humiliating defeats in state elections in Delhi and Bihar. His apparent indifference to hate speech by his party colleagues, and his silence over the lynching of Muslims, has provoked unprecedented protests from the Indian intelligentsia has invited international scrutiny. As so often in his career, Modi is trying to change adverse headlines and announce a rousing new narrative. But even if you believe that he is sincerely determined this time to improve relations between India and Pakistan, it is prudent to understand how they could remain hostage to hardliners on both sides. Tens of thousands of Hindu hardliners, dressed in khaki shorts, white shirts and black hats, gathered for an elaborate rally in western India on Sunday (Jan 3) in a massive show of strength. It was set to be one of the largest ever gatherings of the controversial Rashtriya Swayamsevak Sangh (RSS), a group seen as the ideological parent of Indian Prime Minister Narendra Modi's ruling Bharatiya Janata Party. More than 150,000 activists, almost all men, had registered for the rally at which RSS chief Mohan Bhagwat was due to deliver a speech from a stage designed to resemble a fort. A marching band composed of 2,000 RSS volunteers was also scheduled to play. A giant saffron flag, the colour most associated with Hinduism, was to be hoisted on a post over 20 metres high at the 182-hectare rally site in Pune, Maharashtra state. Analysts say the RSS's influence has never been greater following the election in May 2014 of Modi, a former RSS foot-soldier. Attendees, who arrived in their hordes throughout the morning, were in bullish mood. "People in the RSS look up to Modi as an example of what we can become. He gives our organisation a great image," Vinayak Deshpande, 32, told AFP. Another volunteer, who asked not to be named, said the RSS had witnessed a 20 per cent increase in activists since Modi became prime minister. "With Modi as prime minister the RSS is on the right track," he said. The RSS, formed in 1925, is India's biggest grassroots religious organisation and is believed to have around five million activists, known as "Swayamsevaks". It styles itself as a cultural organisation devoted to protecting India's Hindu culture but critics accuse it of being an anti-Muslim pseudo-fascist organisation with a history of fuelling religious tensions. The RSS is notoriously secretive - volunteers do not formally register as members and communications are often done verbally. Sunday's event was rare for its size and for its open invitation to the media. Pravin Dabadghav, a senior RSS official in Maharashtra who helped organise the gathering, said it was set to be the largest ever meeting of RSS volunteers in western and southern India. The previous high was in 2010 when 90,000 attended a gathering in Kerala. 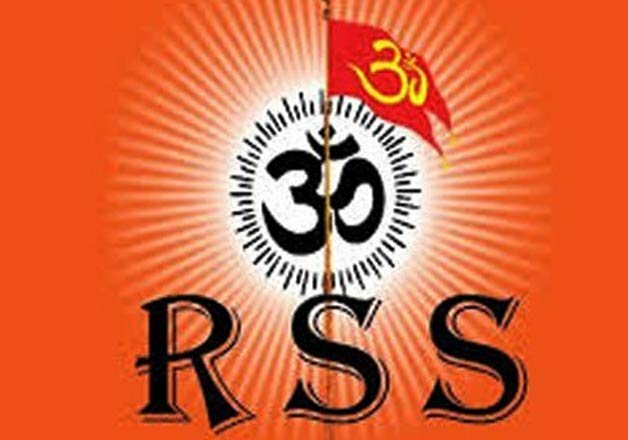 The RSS has been banned three times in post-independence India, including after a former member assassinated Mahatma Gandhi in 1948 and following the 1992 demolition of a mosque in Ayodhya which led to deadly nationwide riots. It favours a uniform civil code for India rather than personal laws for different religions, the protection of cows - which are sacred to Hindus - and the construction of a temple on the disputed Ayodhya site. Modi helped the group out as a boy and became a full-time volunteer as a young adult, taking the requisite vow of celibacy, for more than 15 years before joining the Bharatiya Janata Party. Since 2009, 31 (Pakistani) military installations, including airbases and intelligence headquarters, have been attacked by the militants affiliated with the Al Qaeda, the Pakistani Taliban, and its affiliate and the sectarian killer group, Lashkar-e-Jhangvi (LeJ). The attacks on Pakistan’s naval and air bases have led to the destruction of expensive equipment and loss of military personnel. If terrorism is sponsored singularly by Pakistan’s intelligence networks, then it would be irrational to believe that the military attacks its own installations. The reality is that the militias since the Afghan jihad have fragmented, made further worse by the Al Qaeda’s operations for more than a decade. Pakistan is fighting this menace—mostly a result of continued regional conflict and its past security policies—and trying to eliminate these networks. Official statements from Pakistani prime minister Nawaz Sharif and the military leadership, led by Army chief General Raheel Sharif, have indicated that the erstwhile distinction between good and bad Taliban no longer stands. Skepticism has been aired about these pronouncements since much more needs to be done to undo the militant infrastructure. But Pakistan is moving in that direction. In recent months, the state has eliminated the LeJ leadership, and several groups that comprise the Pakistani Taliban. On top of that, Sharif would not have fixed an informal meeting with Modi without taking the military into confidence. He has avoided direct confrontation with the military in his third tenure. Reuters, citing security sources, had reported in December that the military paved the way for reviving stalled India-Pakistan dialogue process. The appointment of a retired general as national security advisor (NSA) provides the military a direct stake in the dialogue with India. The rogue elements within the security apparatus that aided terror groups in the past have not gone unnoticed. Attacks on Pakistan’s military, and even the former president Musharraf, have happened with collusion at lower levels. But it is too early to conclude in that direction. Also, things have changed since 2008 Mumbai attacks. The incentive to escalate conflict with India is perhaps at its lowest—not because there has been a fundamental shift in the way Pakistani state works or imagines its nationalism. The regional dynamics necessitate this change. Pakistan of 2015 is aspiring for economic integration with China’s “One Belt, One Road” programme; and aiming to become a transit hub of energy trade. I met Sandeep Pandey days after he was sacked from his position as a visiting professor at a prestigious technical institute at Banaras Hindu University. We sat in a dreary guesthouse on the university campus. Mr. Pandey had just finished a long train ride. With his wrinkled kurta pajama and rubber slippers, he was every bit the picture of an old-fashioned Indian leftist. That was why he’d been fired. “Ideologically, I am at the opposite extreme to the people who are at present in power,” he said. “These people not only cannot tolerate any dissent; they don’t even tolerate disagreement. They want everybody who disagrees with them out of this campus.” Mr. Pandey was referring to Prime Minister Narendra Modi’s Bharatiya Janata Party and — more to the point — the Rashtriya Swayamsevak Sangh, the B.J.P.’s cultural fountainhead. 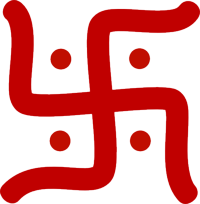 The R.S.S., a Hindu nationalist organization, was founded in 1925 as a muscular alternative to Mahatma Gandhi’s freedom movement. Its founder admired Adolf Hitler, and in 1948 the organization was blamed for indirectly inspiring Gandhi’s assassination. The B.J.P. has not always had an easy relationship with the R.S.S. With its fanciful ideas of Hindu purity and its sweeping range of prejudices, the organization is dangerously out of step with the realities of India’s political landscape. When the B.J.P. wants to win an election, it usually distances itself from the R.S.S.’s cultural agenda. Mr. Modi’s 2014 election had very little to do with the R.S.S. and everything to do with his personality and promises of development. But the R.S.S. doesn’t see it that way. Like a fairy-tale dwarf, the group has sought to extract its due from the man it helped into power. As payment for the debt, the R.S.S. wants control of education. Specifically, it wants to install its men at the helm of universities where they will wreak vengeance on the traditionally left-wing intellectual establishment that has always held them in contempt. At a prestigious film institute, students are protesting the appointment of a president whose only qualification, they feel, is a willingness to advance the R.S.S.’s agenda. The group’s members have met with the education minister in the hope of shaping education policy; in states that the B.J.P. controls, the R.S.S. has been putting forward the names of underqualified ideologues for advisory positions on the content of textbooks and curriculums. It has also sought to put those who share its ideology at the head of important cultural institutions, such as the Indian Council of Historical Research. The new vice chancellor soon turned on Mr. Pandey. “It was all engineered,” Mr. Pandey said to me. First, the professor said, he was denounced by a student. Then a local news website printed a bogus story accusing him of being part of an armed guerrilla movement. (Mr. Pandey, a Gandhian, opposes all violence.) Soon after, the university’s board of governors decided, on Mr. Tripathi’s recommendation, that he be fired. He is an alumnus of the university and a mechanical engineer with a degree from the University of California, Berkeley. He has won awards for his social work. None of this made a difference. He was given a month to clear out. The problem with the vice chancellor is not just that he is right-wing. It is that he is unqualified for his position. This was never more apparent than in his total inability to grasp the value of dissent at an institution of learning. the suppression of intellectual and creative freedoms is assuming much cannier forms in India, a country with formal and apparently free democratic institutions. Muslims believe Profart Mohd traveled in a Concord Horse (JIbral) to meet so called Allah and was back same night to Arabia. Anon: "Muslims believe Profart Mohd traveled in a Concord Horse (JIbral) to meet so called Allah and was back same night to Arabia. " How many Muslim countries' prime ministers have you heard claiming it was built by Muslim scientists using Islamic technology? They have disrupted movie screenings, scuffled with fellow students and briefly held a liberal journalist hostage. And in recent weeks, the political activism of the student organization Akhil Bharatiya Vidyarthi Parishad has become even more controversial in India. Activists with the ABVP – which springs from the same Hindu nationalist organization as Prime Minister Narendra Modi’s governing Bharatiya Janata Party – complained about a campus event at the University of New Delhi where students condemned the hanging of a convicted terrorist. Top government officials launched an investigation. Students who organized the Feb. 9 event were charged with sedition and the president of the student union was jailed. That followed an episode at a university in the southern city of Hyderabad, where ABVP members complained to federal education officials about a student protest against the execution of a man convicted for his role in serial bombings in 1993. One student targeted in the complaint committed suicide. The agitations have turned India’s university campuses into a battleground between liberal, secular voices and supporters of Modi’s conservative government – of which ABVP has become among the most prominent. The group’s leaders say they are fighting an ideological battle against professors and others they accuse of downplaying the traditions of India’s Hindu majority to appease minorities. Secularism is enshrined in India’s constitution, and professors who have clashed with ABVP say that India’s right-wing establishment sees an opportunity to promote a pro-Hindu agenda at universities. Professors worry that the group’s rising influence is shrinking the space for free debate. “The government is using ABVP as its foot soldiers because to bring about ideological change in society, it is better to start with students,” said Milind Awad, assistant professor at Jawaharlal Nehru University, where the February incident occurred. ABVP maintains it is independent of the BJP, although many party leaders, including government ministers Arun Jaitley and Ravi Shankar Prasad, were members. The group claims to be India’s largest student organization, with 9,800 chapters nationwide. Its membership doubled from 1.1 million in 2003 to 2.2 million a decade later. In 2014, the year Modi took office, the group said it added more than 900,000 members. The group traces its roots to the Rashtriya Swayamsevak Sangh, a hard-line Hindu nationalist organization that was temporarily banned after Mahatma Gandhi’s assassination in 1948 for spreading hatred against the independence leader. The organization, which also spawned the BJP, formed the student group to attract young followers. Yadunath Deshpande, secretary of the ABVP in Mumbai, organized symposiums across universities last year with the aim of getting students to think “pro-nation.” One topic focused on “Indianizing” the subjects that students are taught. “There are many aspects of our rich history ignored in India’s education curriculum,” Deshpande said. Deshpande vigorously denied that the BJP had any say in its functioning. Tensions between the right and left wings have long roiled Indian university campuses. The difference now, many observers say, is that ABVP’s links to the governing party are prompting top officials to become involved in the disputes. Over several months in Pakistan and 10 months in India, Truschke traveled to more than two dozen archives in search of manuscripts. She was able to analyze the Mughal elite's diverse interactions with Sanskrit intellectuals in a way not previously done. She has accessed, for example, six histories that follow Jain monks at the Mughal court as they accompanied Mughal kings on expeditions, engaged in philosophical and religious debates, and lived under the empire's rule. These works collectively run to several thousand pages, and none have been translated into English. Early modern-era Muslims were in fact "deeply interested in traditional Indian learning, which is largely housed in Sanskrit," says Truschke, who is teaching religion courses at Stanford through 2016 in association with her fellowship. Truschke's book focuses on histories and poetry detailing interactions among Mughal elites and intellectuals of the Brahmin (Hindu) and Jain religious groups, particularly during the height of Mughal power from 1560 through 1650. For their part, upper-caste Hindus known as Brahmins and members of the Jain tradition – one of India's most ancient religions – became influential members of the Mughal court, composed Sanskrit works for Mughal readers and wrote about their imperial experiences. "The Mughals held onto power in part through force, just like any other empire," Truschke acknowledges, "but you have to be careful about attributing that aggression to religious motivations." The empire her research uncovers was not intent on turning India into an Islamic state. "The Mughal elite poured immense energy into drawing Sanskrit thinkers to their courts, adopting and adapting Sanskrit-based practices, translating dozens of Sanskrit texts into Persian and composing Persian accounts of Indian philosophy." Indian history, especially during Islamic rule, she says, is very much alive and debated today. Moreover, a deliberate misreading of this past "undergirds the actions of the modern Indian nation-state," she asserts. And at a time of conflict between the Indian state and its Muslim population, Truschke says, "It's invaluable to have a more informed understanding of that history and the deep mutual interest of early modern Hindus and Muslims in one another's traditions." An ad hoc group of South Asian academics called South Asian Faculty Group that opposes the changes* won a significant victory at the latest public school board hearing on the issue on March 26. South Asian Faculty Group presented 76 of their own edits of the materials to the board. Sixty-two of them were accepted. All are being contested by the HAF and its conservative coalition. Colorlines e-mailed HAF, Uberoi and DCF for comment, but did not receive a response. 1925 marks the birth year of the hateful and terror breading organization Rastriya Swayam Sewak Sangh, founded by Dr. K. B. Hegedwar and the coward V. D. Savarkar. The much exaggerated ‘veer’ Savarker was the same person who pleaded and begged to the British numerous times from jail for mercy and his release. Later, these fanatics shared by common ideology came under the banner of RSS. The tail of espionage and working hand in glove with the British is much known in the history of pre-independent India. From exchanging outfits and staging violence to spiting venom in public meetings there have been no stone unturned by the RSS to break down the social fabric of India. It was on 30th January, 1947 (1948) when Ganghiji was gunned down by the Hindu fanatic and member of the RSS Nathu Ram Godse at Birla House, Delhi. Soon after the death of Gandhiji, in a letter to Golwaker dated 11th September, 1948 Sardar Patel the then home minister of India pointed out “Opposition turned more severe, when the RSS men expressed joy and distributed sweets after Gandhiji’s death.” What does this vindicates? And why was RSS so much happy that it had to distribute sweets after the killing of Gandhi? RSS, which was responsible for pre and post-independence rioting, conspiring and spreading communal hatred, paradoxically in contemporary India claims itself to be nationalist and seek others patriotism for the nation. After seventy years of Independence it is bemoaning to see that elected BJP MPs like Sakshi Maharaj demands to declare Nathu Ram Godse as a national patriot. In this episode, I speak with prominent Indian public interest lawyer and civil rights activist Prashant Bhushan about India’s effort to delegitimize 4 million mostly Muslim refugees and residents in Assam, India. We also speak about Sanghi efforts to subvert India’s secular democracy with what can only be described as Hindu fascism. Walter Andersen is, perhaps, the only scholar to have observed, or studied, the Rashtriya Swayamsevak Sangh (RSS) for nearly five decades. In intellectual circles, it is normally believed that as an organisation, the RSS is impervious and impenetrable. What is the RSS view of Modi’s economics, especially foreign economic policy, demonetisation and GST? The RSS was undoubtedly responsible for Modi’s rise to the top. But it views Modi’s economics with scepticism. Modi is more open to FDI and foreign trade than the RSS would like. His demonetisation and GST directly hurt groups that are the original base of the organisations: the small traders. The RSS, of course, did not pass a resolution against demonetisation or GST. That is now how it works. But it sought to influence how these policies would be implemented – to ease the burden on small traders. Let us finally return to the relationship of the RSS and Muslims. Your book says that Golwalkar repeatedly used the term “ek hazaar saal ki ghulami” (one thousand years of servitude). Your also say that Deoras changed that, and in 1979, opened the RSS to Muslims. Narendra Modi has often used the term “barah sau saal ki ghulami” (twelve hundred years of servitude), which is more in the Golwalkar vein than in the Deoras mold. At any rate, the implication of the Golwalkar and Modi statements is that India’s colonisation began with the arrival of Muslim rulers either in the 8th century in Sindh or the 11th century in Delhi. This militates against the historian’s argument that it is the British who started colonising India in 1757. The Delhi Sultanate or the Mughal era was not a period of colonisation. However offensive Babur or Aurangzeb were, the other Mughal kings Indianised themselves, even married into Rajputs, and developed commitments to India. The British did not Indianise themselves. They were the real colonisers. How can one justify the term Mughal colonialism? I don’t think many RSS activists, or even prachaaraks, would disagree with the distinction you are making between the British and Mughals. When Deoras invited Muslims to join the RSS, he did argue that Muslims were mostly India-born, and therefore Indian. But despite that ideological development, PM Modi returned to the Golwalkar understanding. There is clearly a generic problem, here. Even those RSS ideologues, who want Muslims to enter the RSS, would like them to accept India’s “historic culture”. But India’s “historic culture” — the arts, the languages, the everyday manners, the poetry, the architecture, the music — have a lot of Muslim contributions. But that implies that Urdu, which was widely spoken in North India, is not an Indian language, which is so hard to accept. Urdu was not born in the Middle East. Let us now turn to the recent lynchings. Your book says that the higher echelons of the RSS and BJP don’t approve of lynchings. But how does one align your claim with the following: ministers in Modi government have expressed sympathy for lynchers, even garlanded those convicted of lynching (though out on bail), but the Prime Minister has not taken them to task. Indeed, though the Prime Minister has spoken against lynchings, his most forceful denunciations came when Dalits were hit. When Muslims are attacked by lynch mobs, he, at best, makes perfunctory remarks, if at all. I haven’t thought clearly about the Muslim-Dalit distinction you are drawing, nor does the book talk about it. I will think more systematically about it.